Scholarship: The Trainees need to continue to develop their technical research requirements, including critical thinking, manuscript review, and systematic reviews. In addition, they need to enhance their understanding of, private sector issues, ethical issues for animal and human research, understanding all 4 CIHR pillars, cross-pillar training, and population health research. 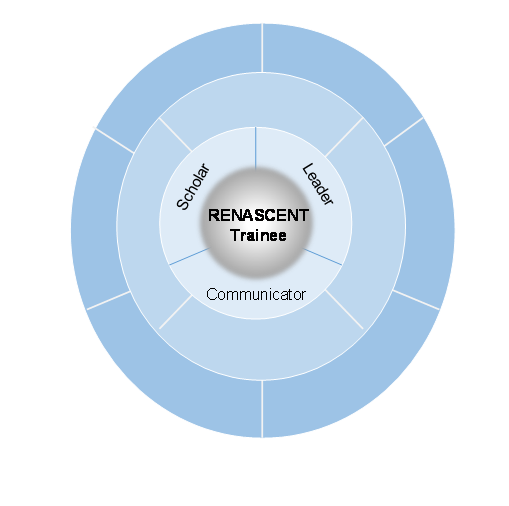 Leadership: The Trainees needs to be able to generate a research Vision and Roadmap to achieve vision while developing the skills necessary to execute the plan in order to survive and thrive. To accomplish this they will need to work collaboratively, be accepting of mentorship, develop their leadership skills, transition to independence, have excellent human resource skills and the ability to deal with conflict, and have a strong understanding of the Canadian research and funding context. Communicator: The Trainees will need to develop their communication skills to enhance their competitiveness for grant funding, improve their publication records, become eloquent presenters, and enhance their ability to networking.